A member of the first cohort of dental hygiene students on the Terry Campus, Gail Dunkleberger graduated in 1988 and went straight into her life’s work. 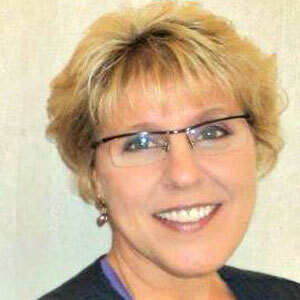 Nearly 30 years later, she is still a dental hygienist and will continue as long as her body allows her to keep treating patients. Dunkleberger had been a dental assistant and wanted to further her education, so she enrolled on the Dover campus. Looking back, she said at times it felt like everyone was living out of their cars, due to travel for clinical and an occasional off-campus class. Gail made it through the travel and the classes and then sat for her three Board Examinations.